BREAKING: New York City Jury Finds Killer Of Gay Man Guilty Of Hate Crime Murder, Life Sentence Possible - Joe.My.God. A crazed killer was convicted Wednesday of gunning down an unarmed gay man in the West Village nearly three years ago — and the murder was deemed a hate crime. 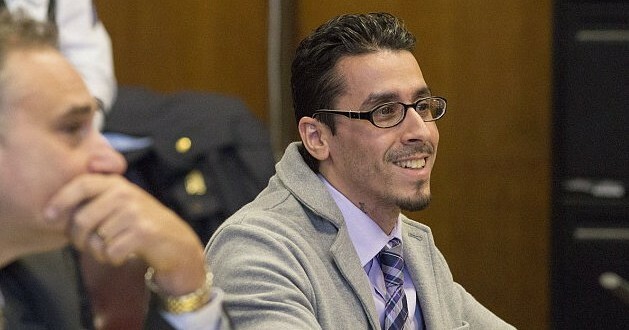 Elliot Morales, 36, now faces up to life in prison for the murder of 32-year-old Mark Carson around midnight on May 18, 2013, on W. Eighth St.
A jury decided in about a day of deliberations in Manhattan Supreme Court that the crime was motivated by a hateful bias against a gay person. Morales argued at trial that he did not mean to hit Mark Carson when he fired the gun and that he felt threatened by Carson and his pal Danny Robinson. He also claimed he was bombed after a day of drinking Four Lokos, rum and vodka. 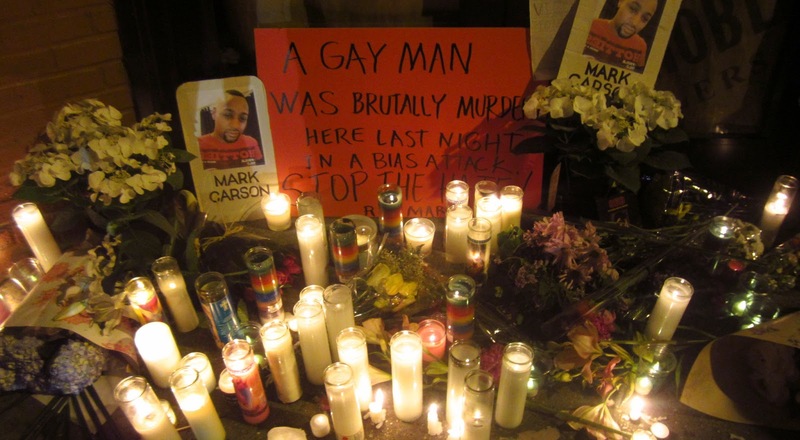 HIS NAME WAS MARK CARSON. UPDATE: From the New York County District Attorney’s office. Manhattan District Attorney Cyrus R. Vance, Jr., today announced the trial conviction of ELLIOT MORALES, 36, for shooting and killing 32-year-old Mark Carson in May 2013. A New York State Supreme Court jury found the defendant guilty of all of the counts in the indictment against him: Murder in the Second Degree as a Hate Crime, Criminal Possession of a Weapon in the Second and Third Degrees, Menacing a Police Officer, and Menacing in the Second Degree. The defendant is expected to be sentenced on April 11, 2016.